LANAGAN, MO — Earl Leon Chase, 70, passed away Thursday, Dec. 2, 2010. Graveside services will be at 1 p.m. Tuesday at Council House Cemetery, Wyandotte, Okla. Visitation will be from 1 to 3 p.m. Monday at Ozark Funeral Home, Anderson, Mo. a Mr. Earl Leon Chase, 70, of Lanagan, Missouri departed this life on Thursday, December 2, 2010 at Integris Grove General Hospital after a sudden illness. Earl was born on January 1, 1940 in Wyandotte, Oklahoma born to the union of the late Antoine and Alice (Young) Chase. He was raised in Wyandotte, Oklahoma and was a graduate of the Wyandotte Indian School. 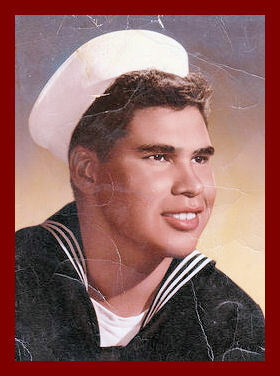 From 1959 to 1963 he served his country faithfully in the United States Navy. In January of 1976 he was united in marriage to Jerry Ann and together they shared thirty years before her passing on September 5, 2006. Earl has resided in Lanagan, Missouri since 1976 and has worked in the field of construction for most of his life. He retired in 2008 from the Anderson, Pineville & Lanagan Housing Authority. Earl is survived by one daughter, Angela Dee Cholka of Neosho, Missouri; one grandson; one great grandchild; three brothers, Sonny Chase and wife, Nancy, of Fairland, Oklahoma, Lee Chase and wife, Evelyn, of Union City, California and Tommy Chase and wife, Alicia, of Wyandotte, Oklahoma; nine sisters, Jeanie Laughlin of Neosho, Missouri, June Merriman and husband, A.J., of Wyandotte, Oklahoma, Mary Coleman of Wyandotte, Oklahoma, Betty More and husband, Frank, of Grove, Oklahoma, Pearlene Chase and Jerry Phillips of Wyandotte, Oklahoma, Sharon Deal of Baxter Springs, Kansas, Sandra Brown and husband, Jerry, of Seneca, Missouri, Melissa Ballard of Oklahoma City, Oklahoma and Marie Panter and husband, Greg, of Wyandotte, Oklahoma; several nieces and nephews; as well as a host of other family and friends. Graveside funeral services with full military honors for Mr. Chase are 1:00 p.m. Tuesday, December 7, 2010 at the Council House Cemetery near Wyandotte, Oklahoma with Charles Diebold officiating. Those honoring his life by serving as pallbearers are Ryan White, Eric Logan, Tom Chase, Gerald Merriman, Kevin Merriman and Tom Smith. The family will receive friend on Monday afternoon from 1-3:00 p.m. in the Anderson Chapel of the Ozark Funeral Homes. On-line condolences may be sent to the family through our website, www.ozarkfuneralhome.com. Arrangements are under the personal care and direction of the Ozark Funeral Home in Anderson, Missouri.